Crazy Train is an all time classic song by Ozzy, which has a super lead guitar line. 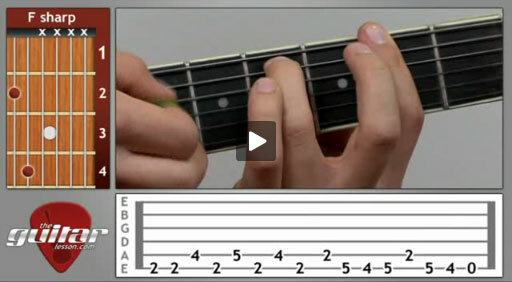 This electric guitar lesson is pretty long, since Crazy Train is a fairly complex piece. You’ll learn power chords that they play in the intro, as well as all of the signature riffs they play during the song. The really interesting parts of the Crazy Train guitar riffs come when you start learning the timing and rhythm of the plucks. Heavy metal songs require a semi-advanced level of timing, since you’ll be plucking the strings in a very distinctive rhythm, which actually gives the song its unique quality. All in all, this is a great beginner guitar song that you’ll love to play if you are into heavy metal and hard rock. And of course, beside playing one of the great classics of hard rock, you’ll also be learning power chords, alternate plucking and effective timing, all of which will really advance your technique. Crazy Train was written by Ozzy, the late Randy Rhoads (died already a rock legend at the young age of 25 in 1982) and Bob Daisley. It was recorded live in 1981, and first released as a single in February of ’87, than on the album Tribute in March of the same year. This was actually Ozzy’s first single as a solo artist, after splitting with Black Sabbath. Sorry, but you've reached a premium content area. The download of the Crazy Train tablature file is only available to premium members. Sorry, the same goes for the backing track. To download the backing track to Crazy Train, please log in and revisit this page.